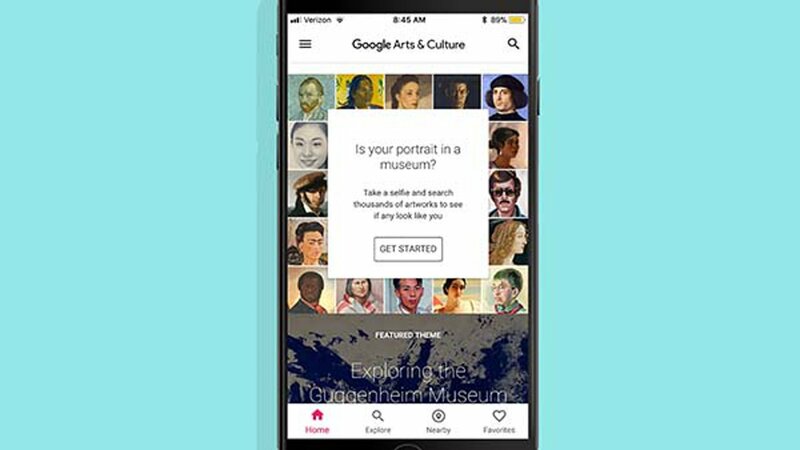 The Google Arts & Culture app, which matches your face to a historical painting, has gone viral. But some people in two states claim they don't have access to the popular new feature. A centuries-old painting that looks just like your 2018 selfie could be hanging in a museum right this minute. However, experts believe the issue stems from laws in Illinois and Texas that put restrictions on how companies can use biometric data such as facial scans and fingerprints. The Chicago Tribune was first to report on the laws affecting the feature's availability. The feature, which propelled the app to the top of the list of most downloaded iPhone apps over the weekend, uses basic computer vision to scan your face. It then matches your selfie with doppelgngers from its digital collection of paintings pulled from its museum partners all over the world. Google said it deletes your photo after a match is made. On Wednesday, Google said people have taken more than 30 million selfies on the app. In 2008, Illinois passed a law that requires companies to let users know when biometric identifiers are collected and how they will be used. It's also necessary to obtain consent from users before collecting and storing that data. In 2009, Texas passed a similar law. Google's art app informs all users the company will collect and analyze their photos if they use the feature. Users must agree to this process for it to work. The company declined to say how it knows which users are in Texas and Illinois. But some apps can restrict content based on a user's IP address. However, some experts believe the app's feature doesn't violate state laws. "This app isn't being rolled out in these states because of privacy law," Alvaro Bedoya, director of the Georgetown Law Center on Privacy & Technology, told CNN Tech. "It isn't being rolled out in these states because powerful companies want those privacy laws to go away. They're trying to prove a point by not letting consumers in those states use the app." Bedoya argued that the app provides adequate information and asks for consent, thus fulfilling the privacy laws' requirements. Tech companies have previously lobbied against the biometric privacy laws that restrict collection of consumer data. In 2016, a bill was introduced to revise the Illinois law to exempt scans from preexisting photos. The bill did not pass. Meanwhile, over 30 class-action lawsuits were filed in Illinois the second half of 2017 over alleged violations of the biometrics law, according to law firm K&L Gates. One lawsuit against Google claimed the company violated the state's law by collecting and storing biometric information in Google Photos without the users' consent. Similar lawsuits have been filed against Snapchat and Facebook. In Texas, only the attorney general can file lawsuits on the issue. Google said it's working to expand availability of the feature, which is currently only available in the U.S.